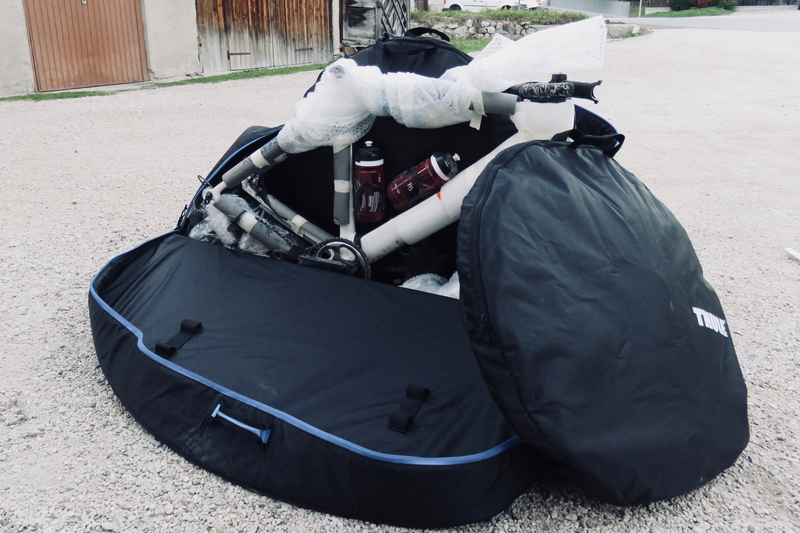 I have tested a lot of bike bags and boxes, from many well known manufacturers; many of them have excelled, and done the job of transporting my rides to far-flung destinations. Many of them have had faults or niggling downsides though... anything from wheels that have fallen off, to being unable to take recent 'Gravel' bike axles and wheel sizes. The new Thule RoundTrip Pro XT Bike Case / Bag, is a semi-rigid option, which seems to tick many of the boxes, without a lot of the downfalls of its competitors. 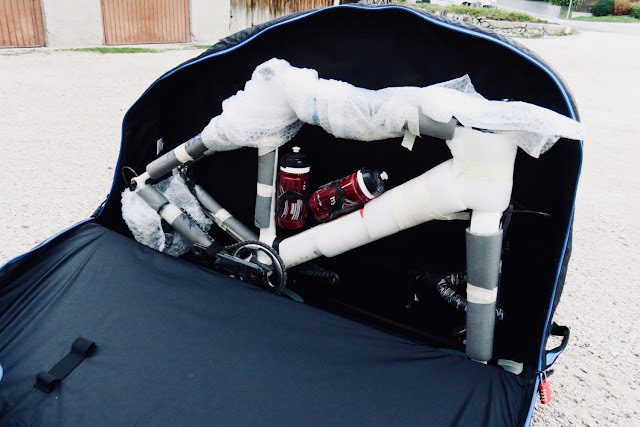 Bike bags (a.k.a. soft cases) have become my preferred option over hard bike boxes; this is due to their lighter weight, and the ability to pack them down when not in use. Clearly the downside of a soft case is that it doesn't provide quite the same level of protection as a drop-proof box. The Thule RoundTrip Pro XT Bike Case is effectively a mix between a hard case and a soft bag; which in my opinion means it delivers very well on all fronts. 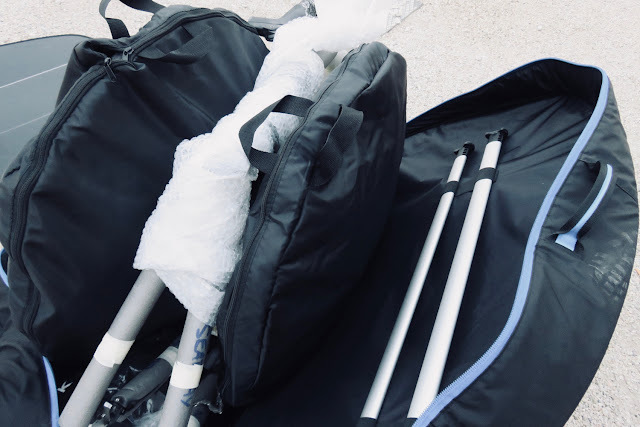 These four design features mean that the bag looks and performs a lot like a hard case, but packs down impressively small (see the video below). The unique aspect of the Thule RoundTrip Pro XT Case, which sets it apart from the rest, is the way the frame that suspends the bike in transit can be made into a highly useful bike work stand. The bike sits on the frame in a similar way to a repair stand like the Feedback Sports Sprint Workstand; with the front axle attached, and the bottom bracket resting on a cushioned foam support; strapped in place by a rubber strap. It is worth noting that the frame will take QR, 15 mm and 20 mm thru axle designs, making it universally acceptable to road and mountain bikes. The frame design itself is strong and light, and the only notable downside is that the rear triangle of the frame could be vulnerable to being squashed together with no wheel to keep the dropouts apart; I fashioned a brace from a piece of plastic pipe cut to the width of the hub, and I would recommend doing something similar; you could use and old rear hub as a bracing support. 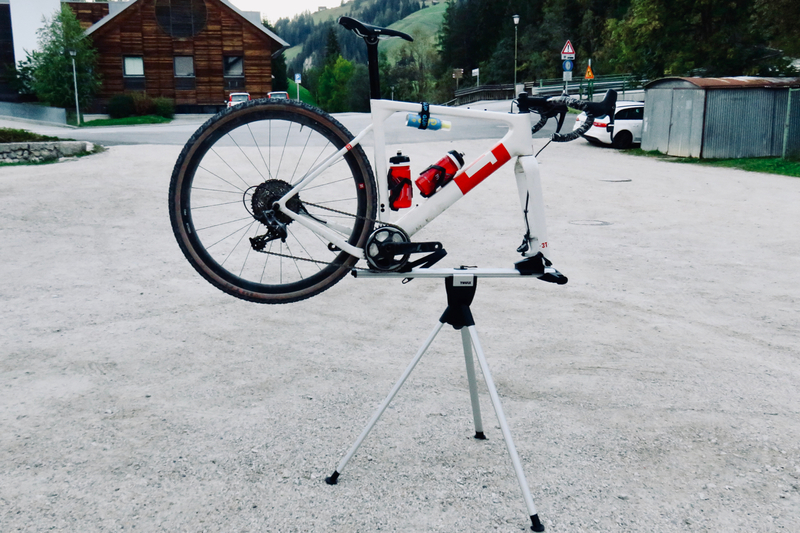 To turn the suspension frame into a work stand you use a neat little tripod that clips underneath the design (the legs of which help to support the sides of the bag when not in use — as mentioned earlier). 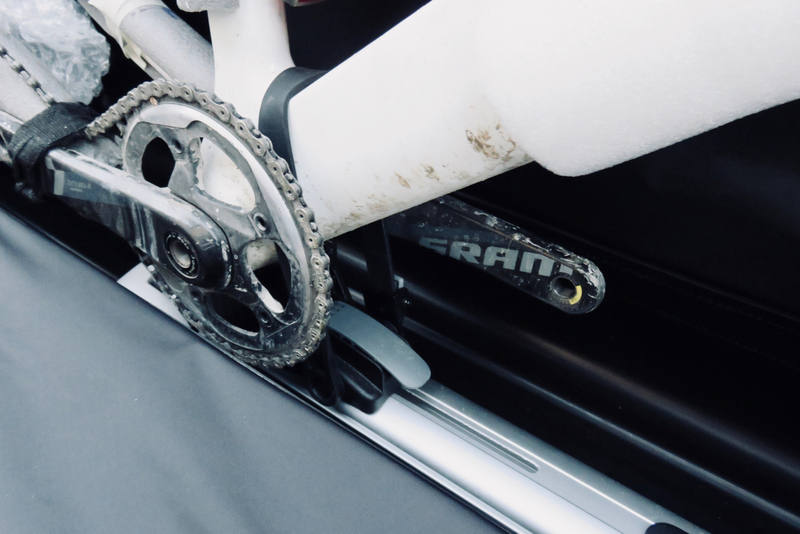 The work stand is incredibly useful for building and maintaining the bike when on location. 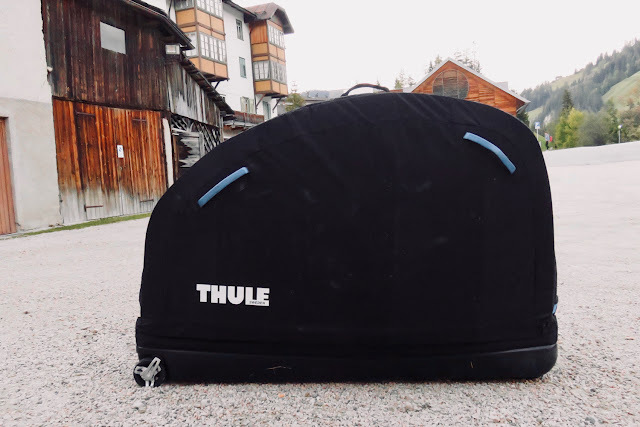 The Swedish brand has done it again with the Thule RoundTrip Pro XT Bike Case - they have demonstrated that they can take a relatively every-day product like a bike bag, and innovate and develop it into something that has improved functionality and performance. The case seems to be as protective as many hard cases, yet as light and packable as a soft bag. 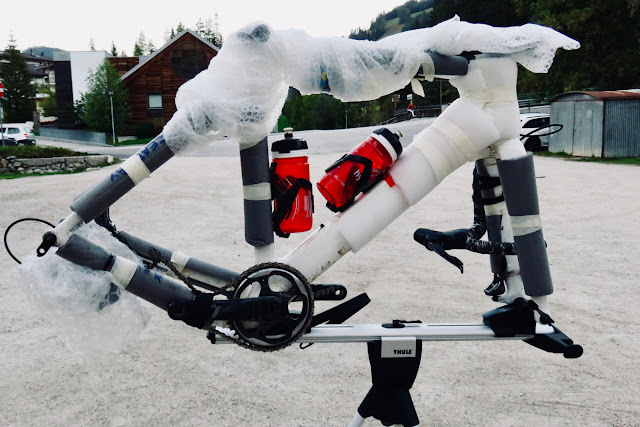 It is simple and easy to pack, and will universally accept any bike type and size. Finally, it shows great functionality; both in simple things like good quality wheels and well placed carry handles; but also through innovative features like the integrated work stand. I could be super picky, and say there are a few tiny things I would improve; like the identity card holder that is a bit ineffective at holding a card; and the absence of the rear axle spacer; but in reality those are so easy for the user to correct that they are hardly worth mentioning. This is a great design, and I look forward to using it on many future trips.